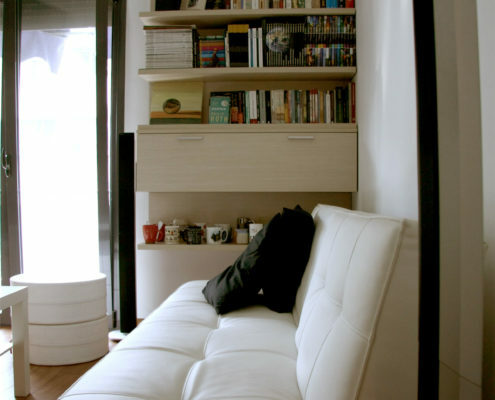 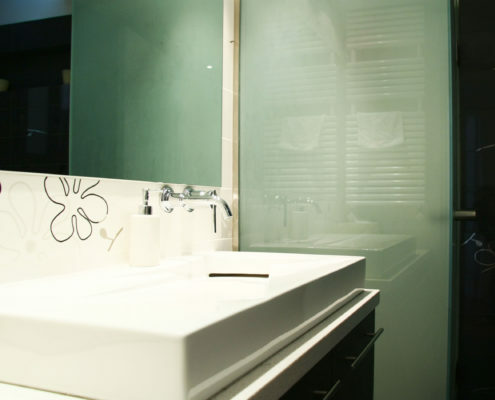 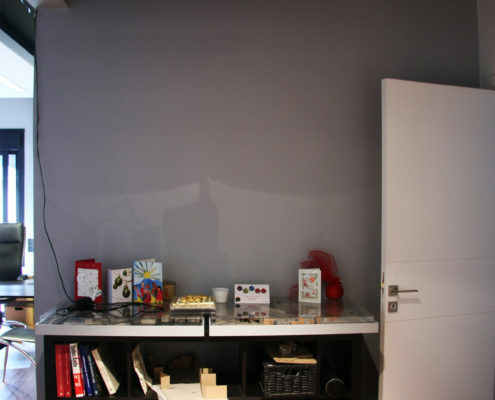 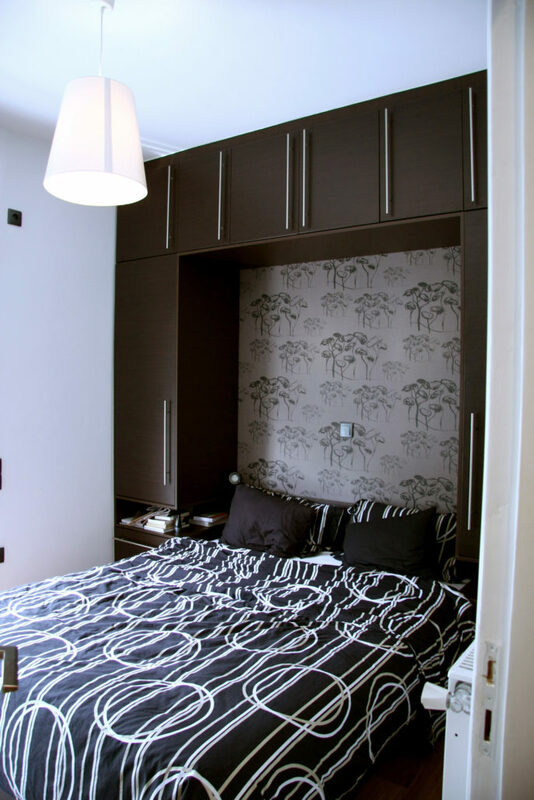 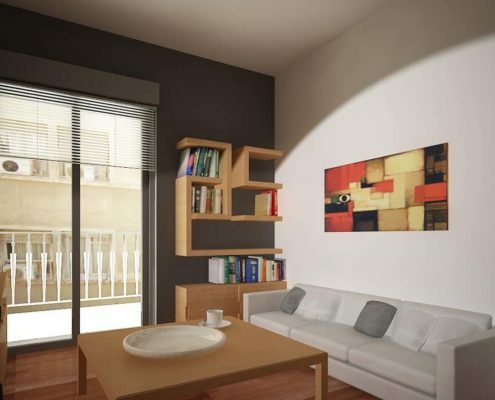 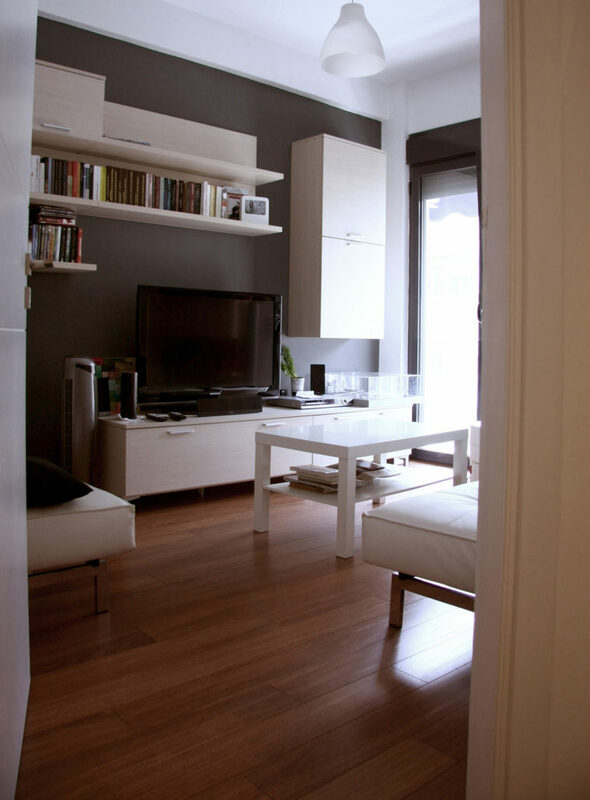 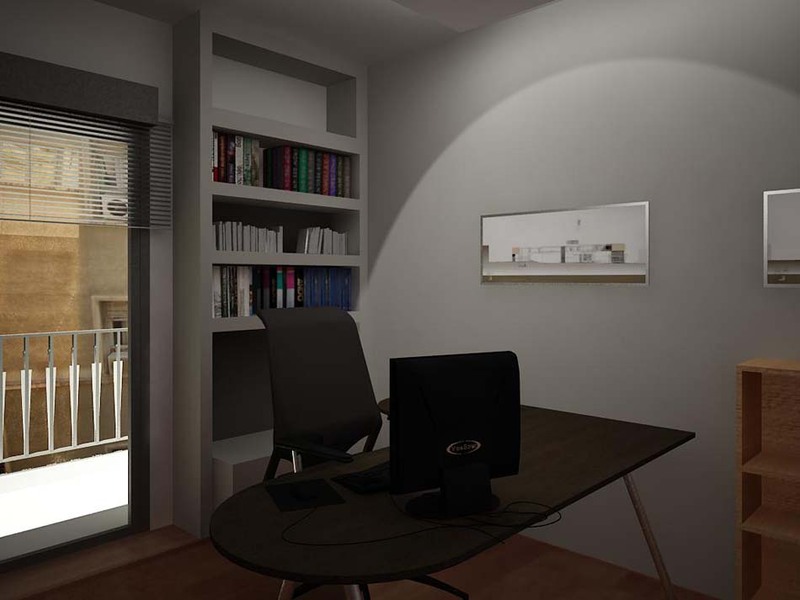 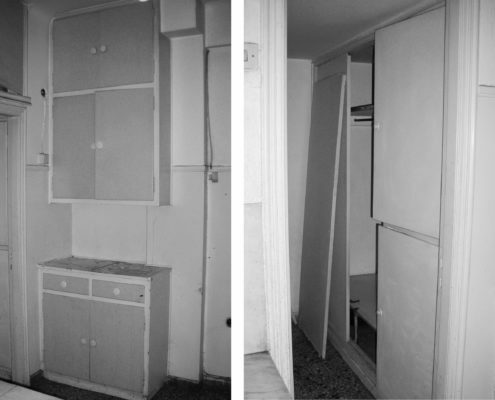 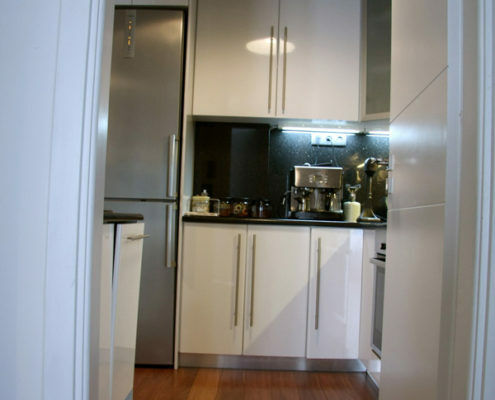 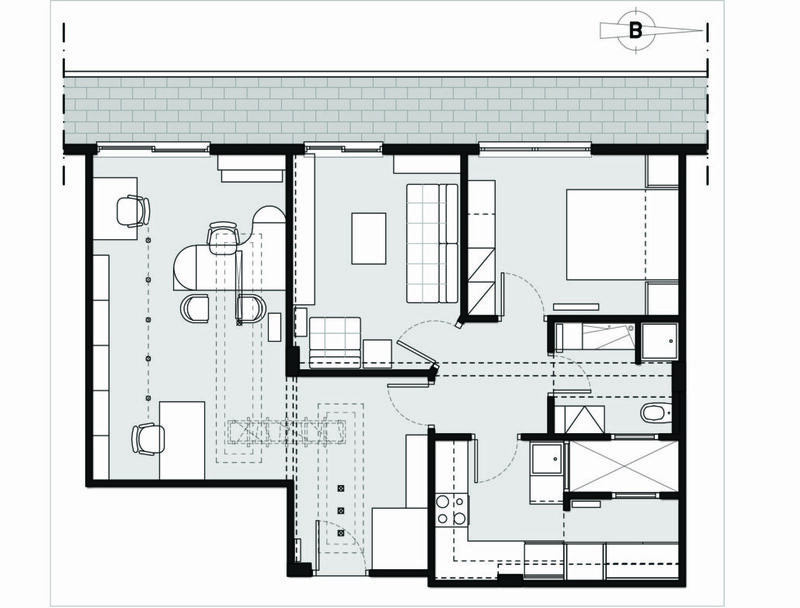 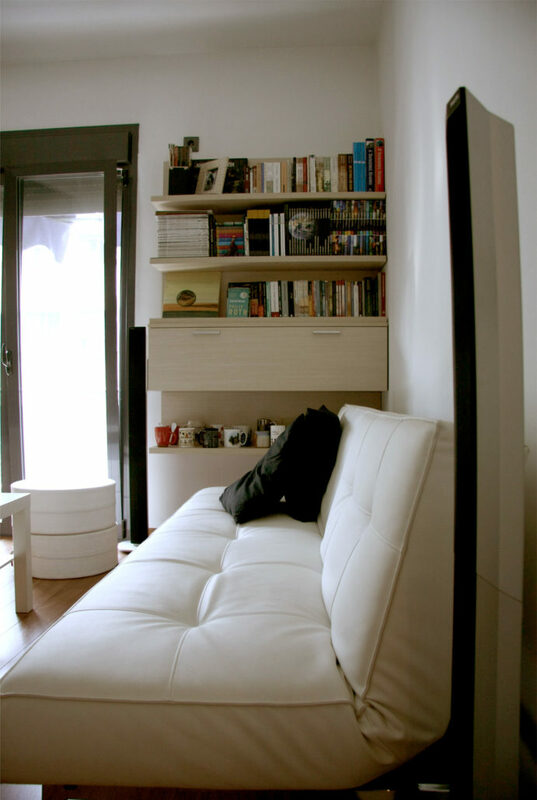 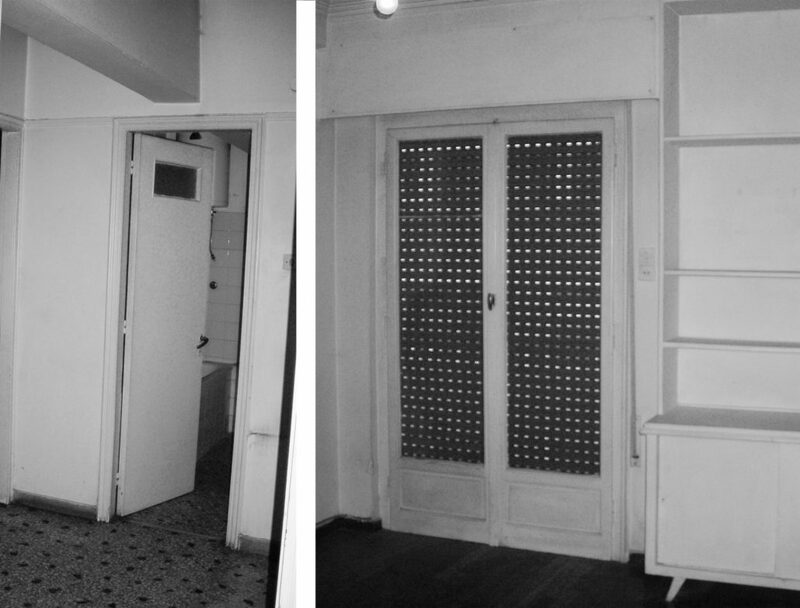 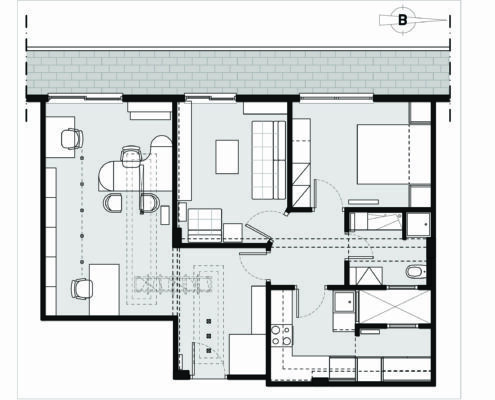 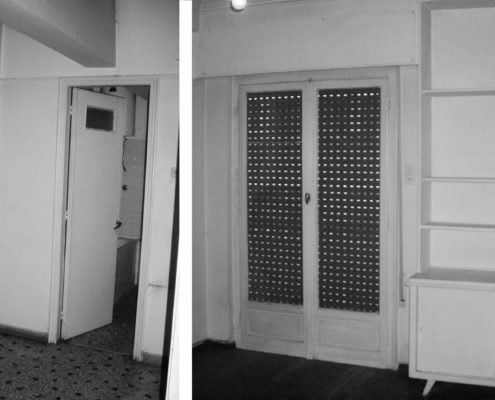 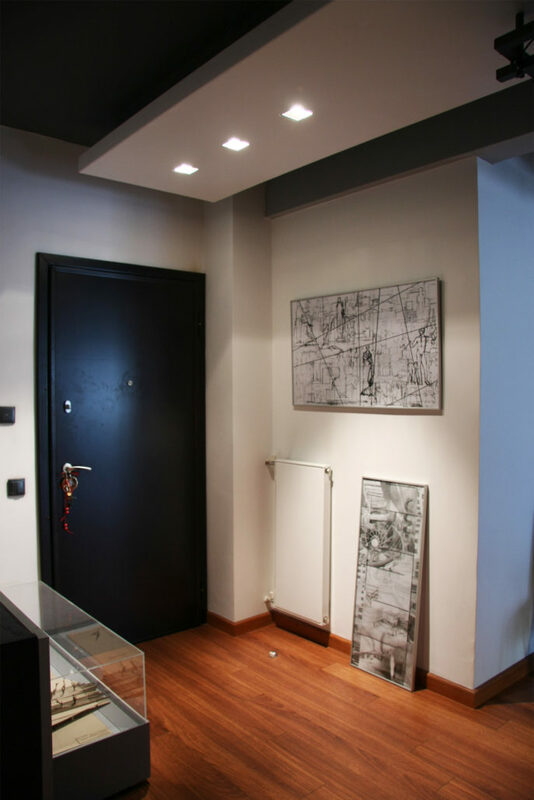 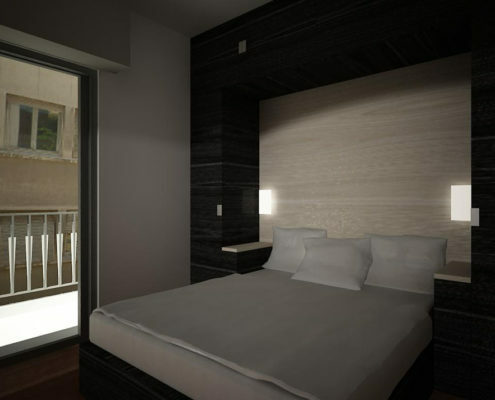 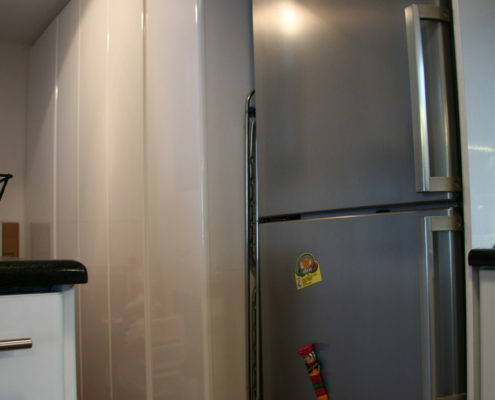 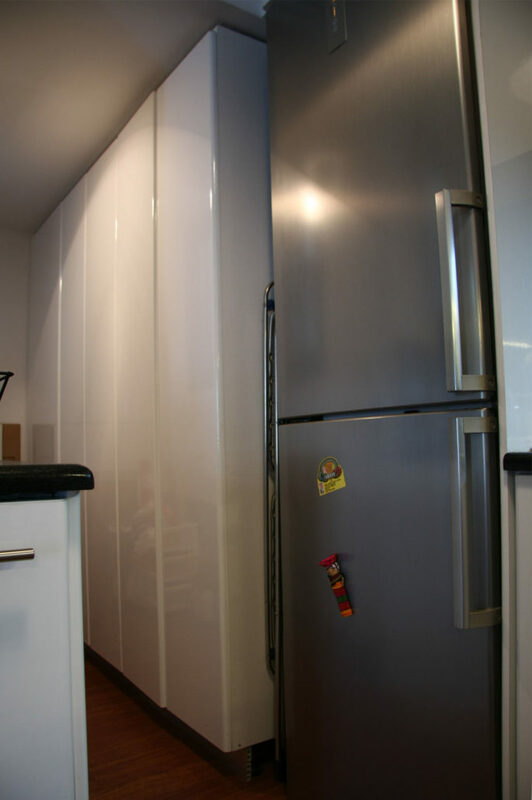 The existing two bedroom apartment is located in the center of Athens, in Greece and is 70sq.m. 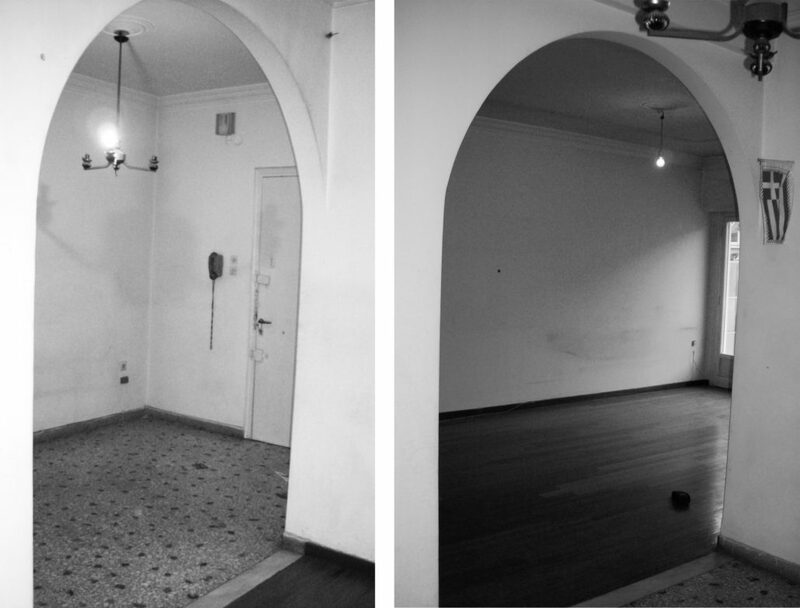 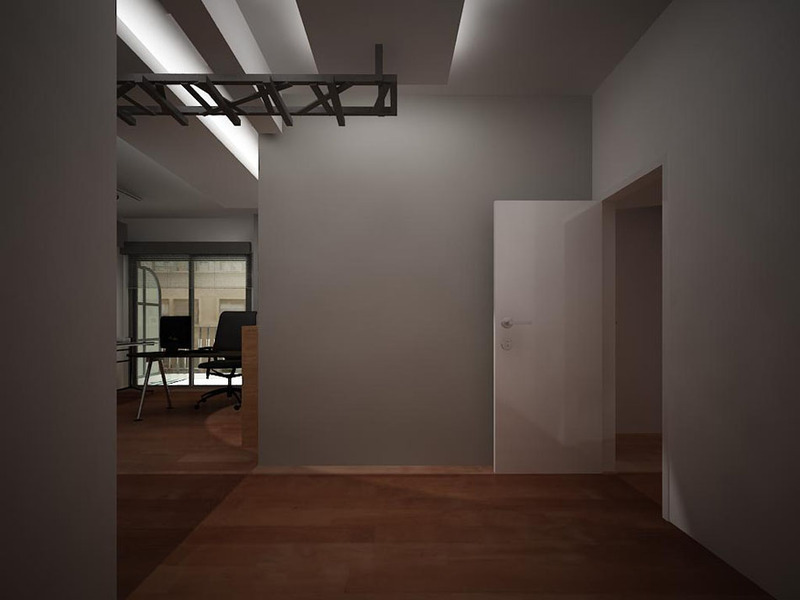 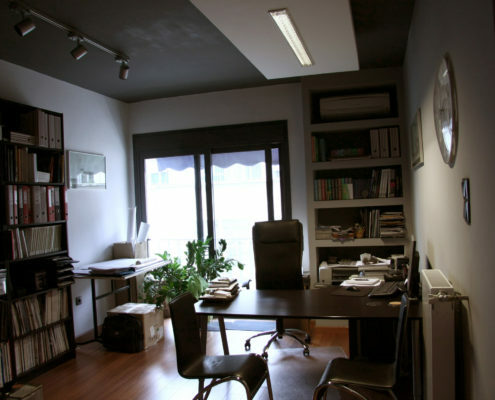 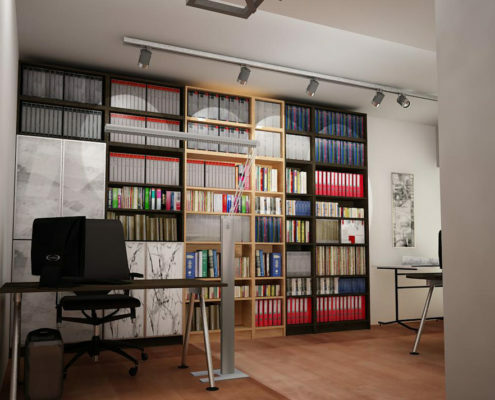 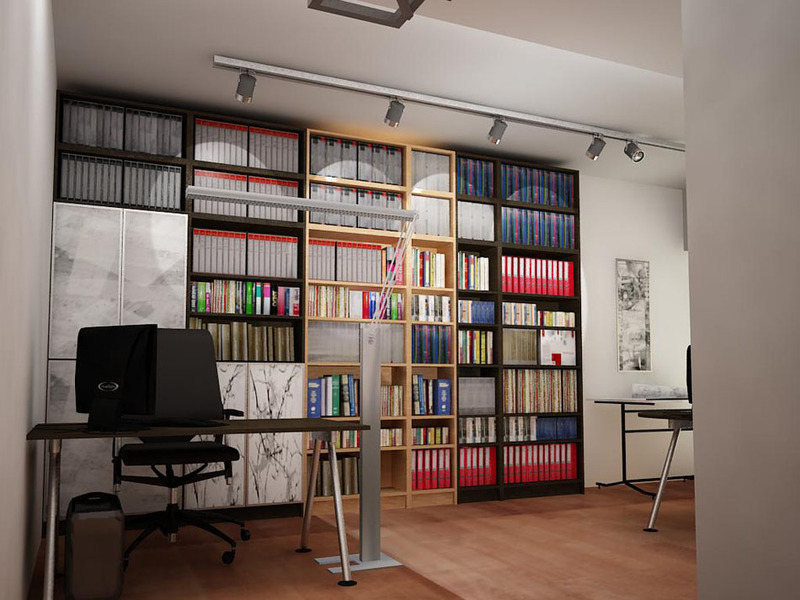 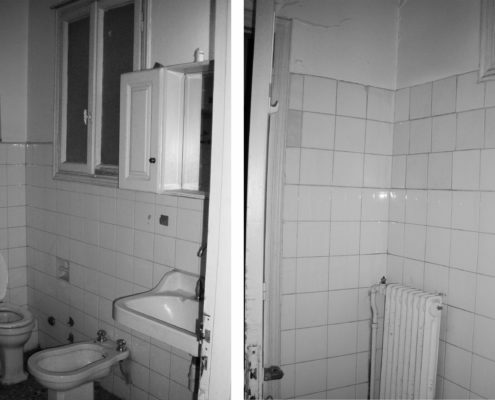 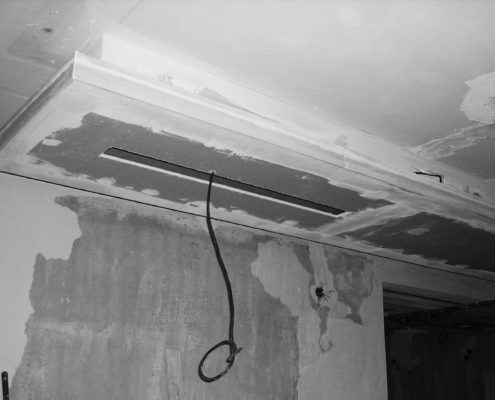 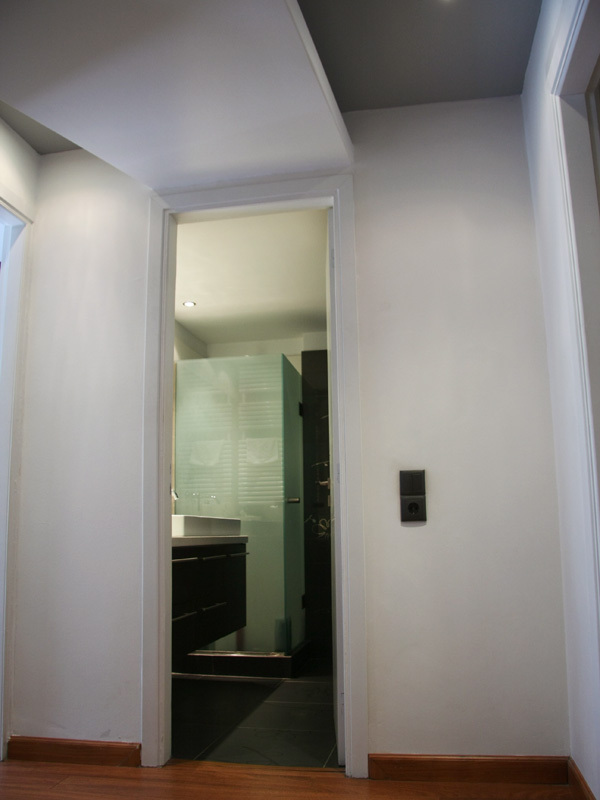 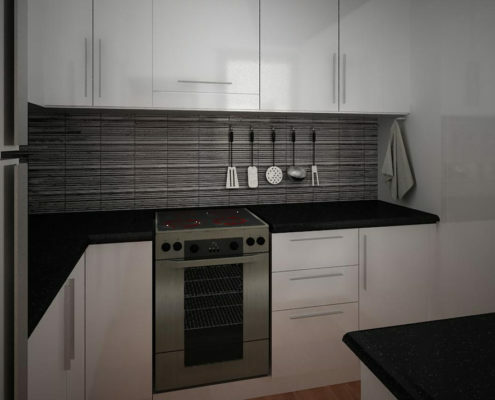 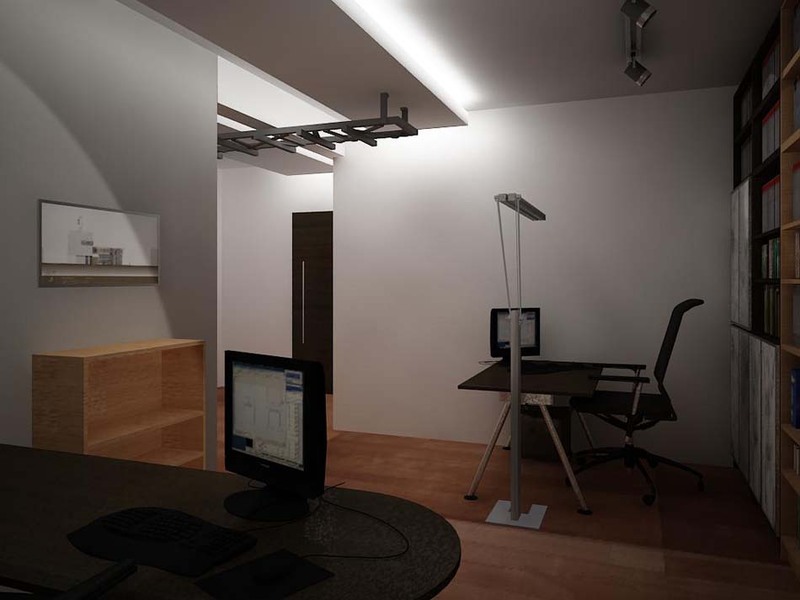 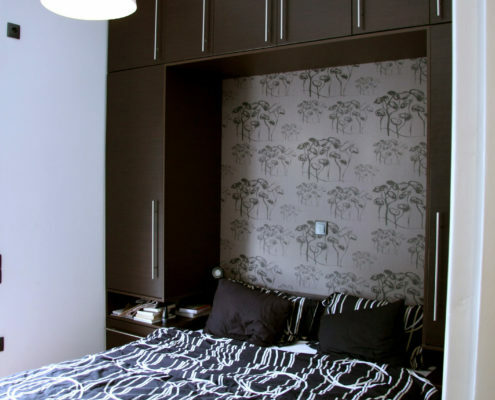 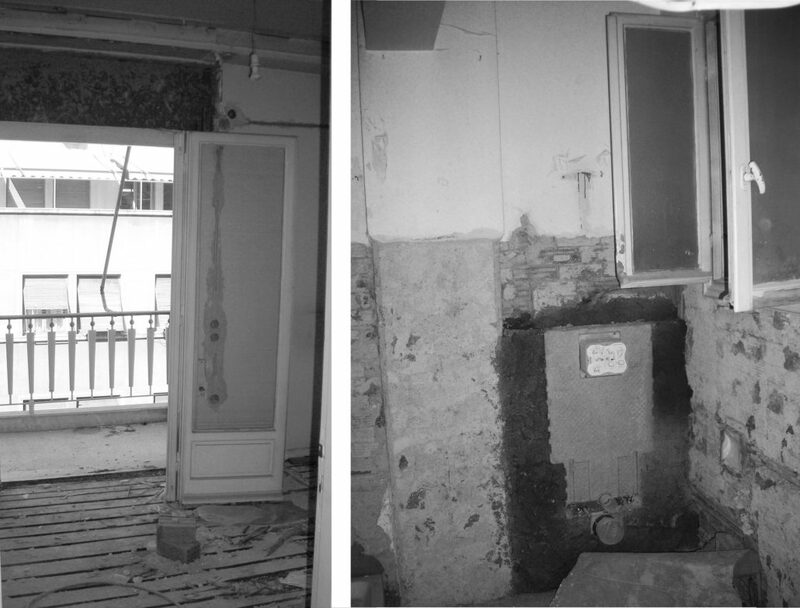 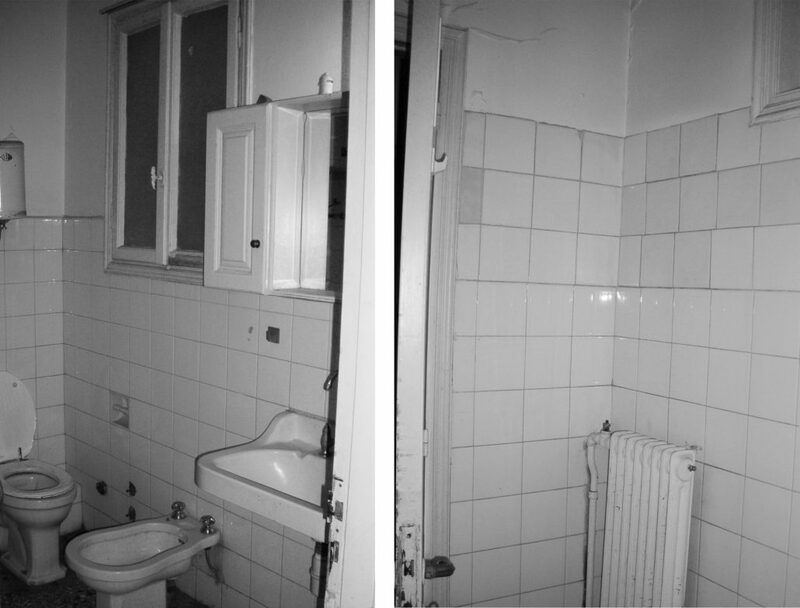 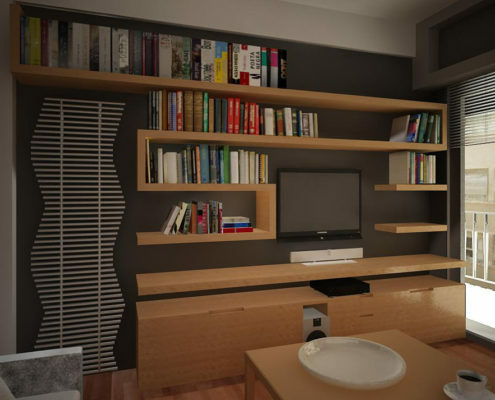 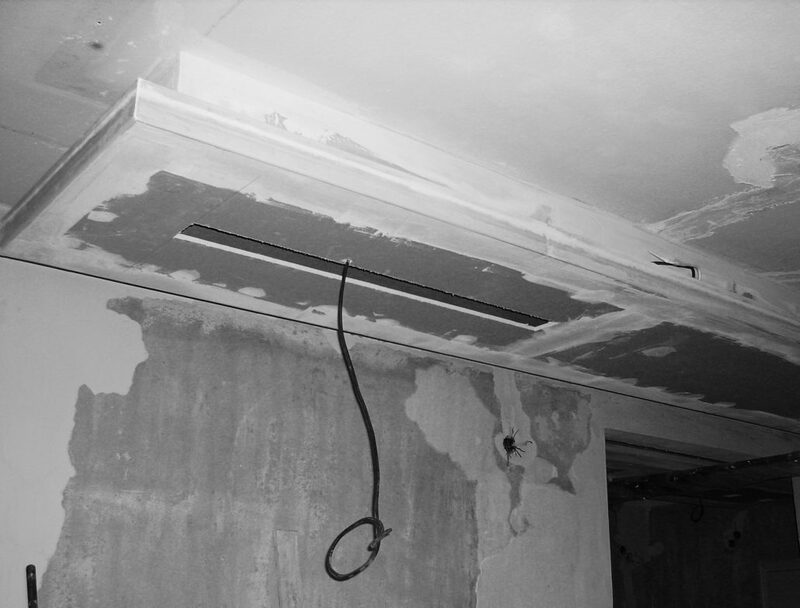 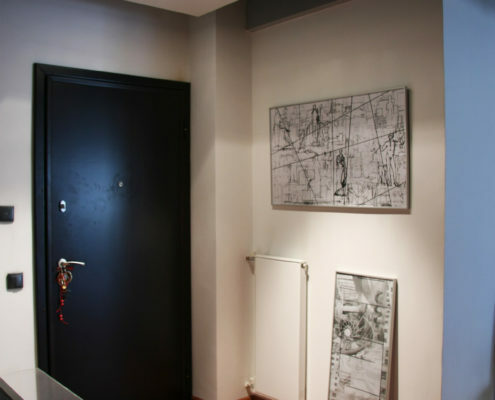 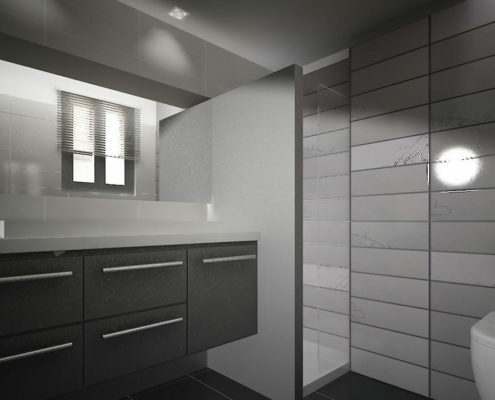 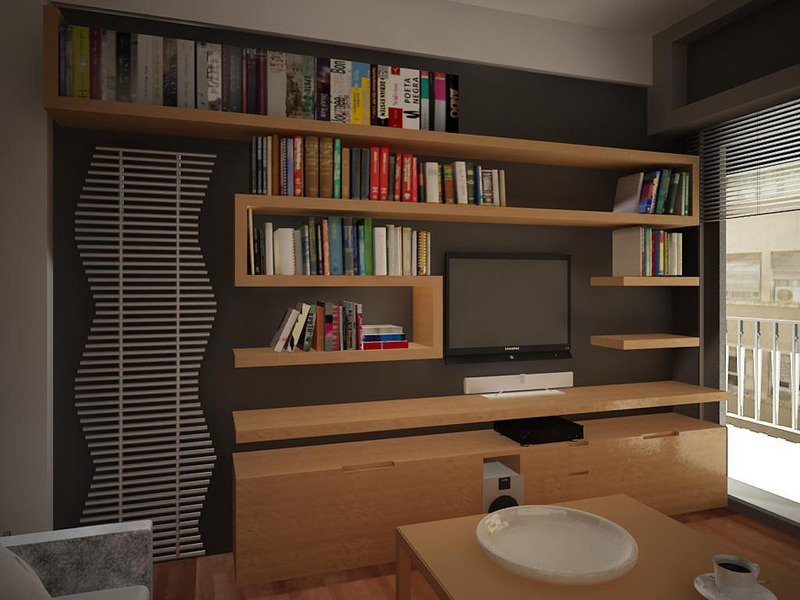 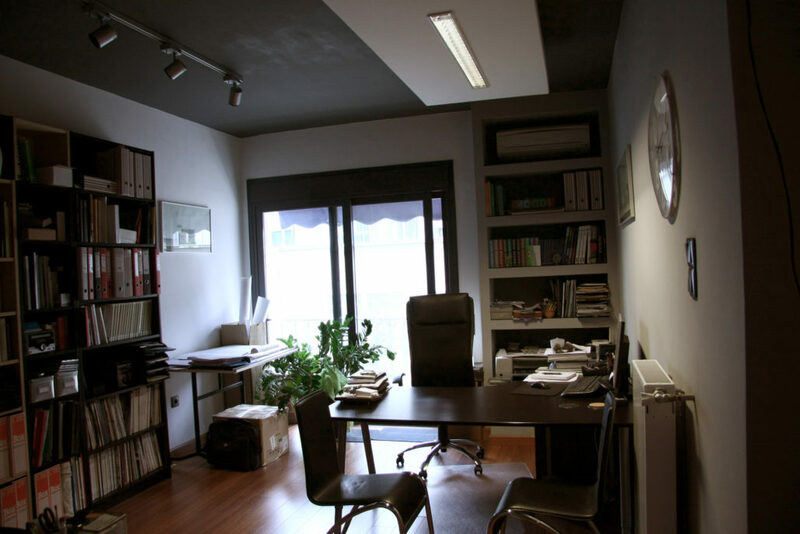 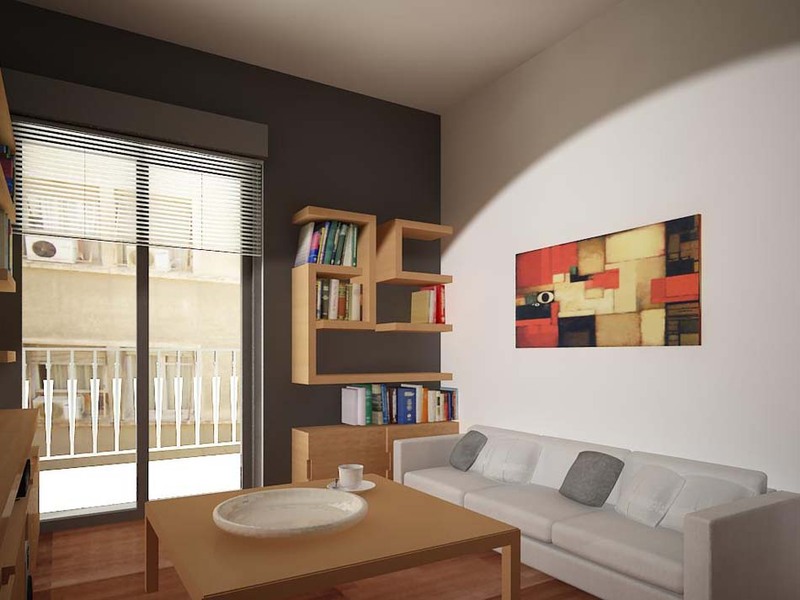 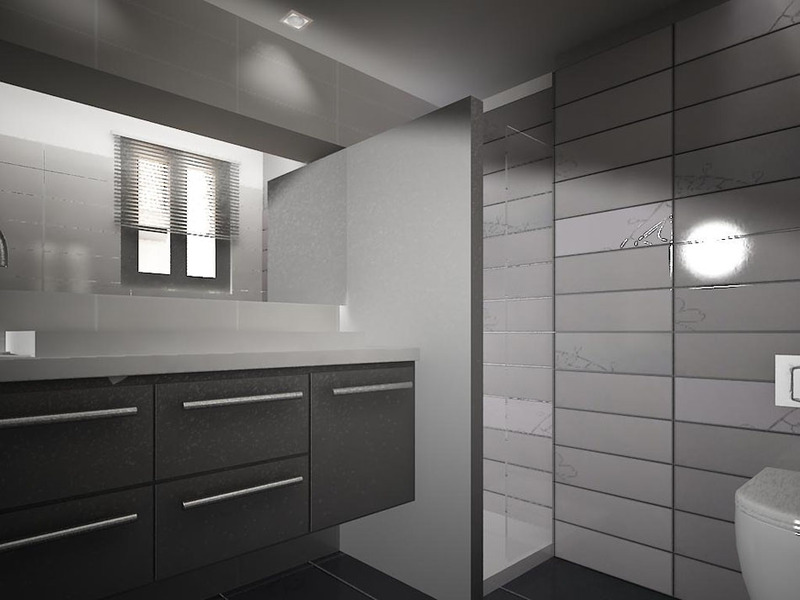 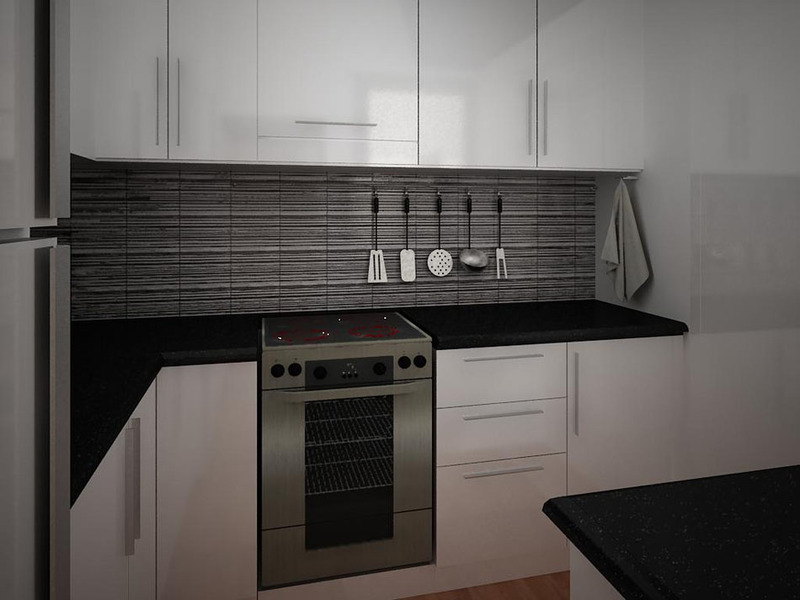 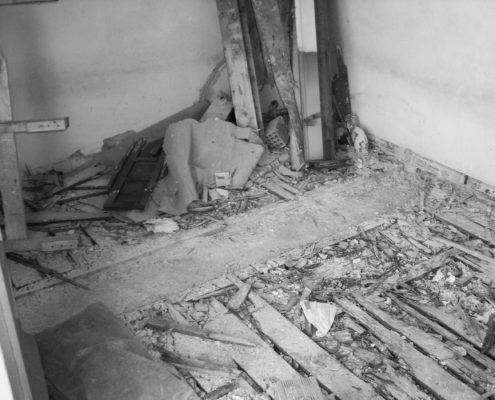 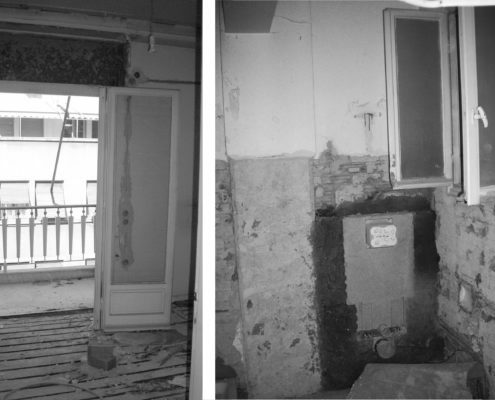 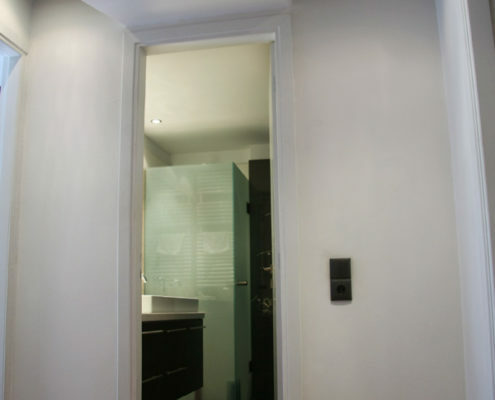 The aim of the remodeling is to renovate the apartment and convert it to an office that would serve accommodation, too. 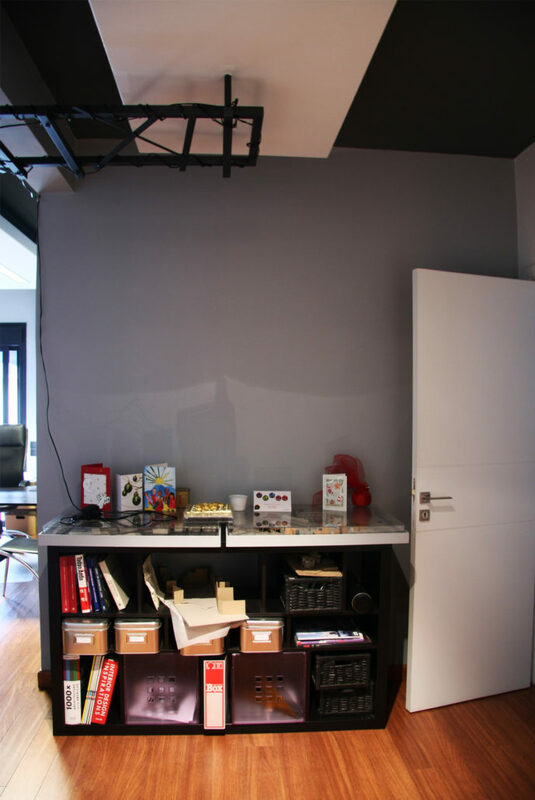 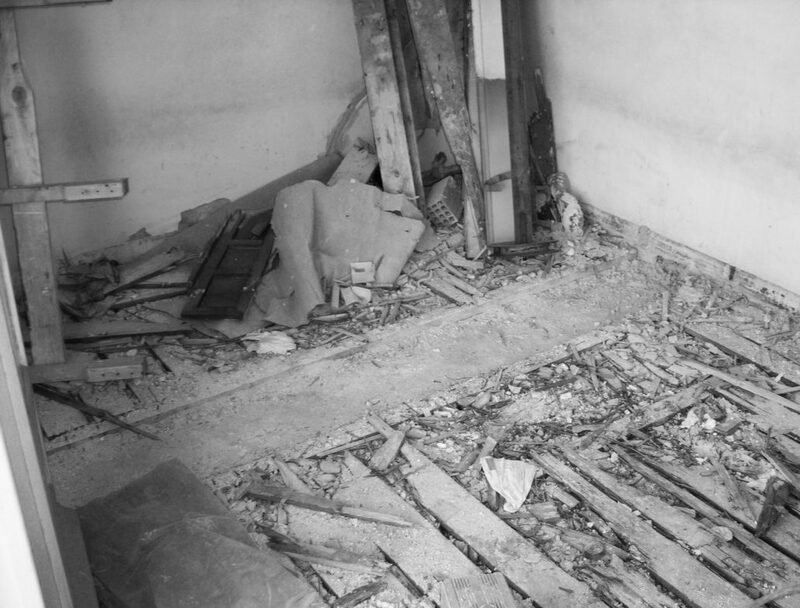 The reception area and living room were converted to office area, the largest bedroom was renovated and the smallest bedroom was converted to a private sitting room. 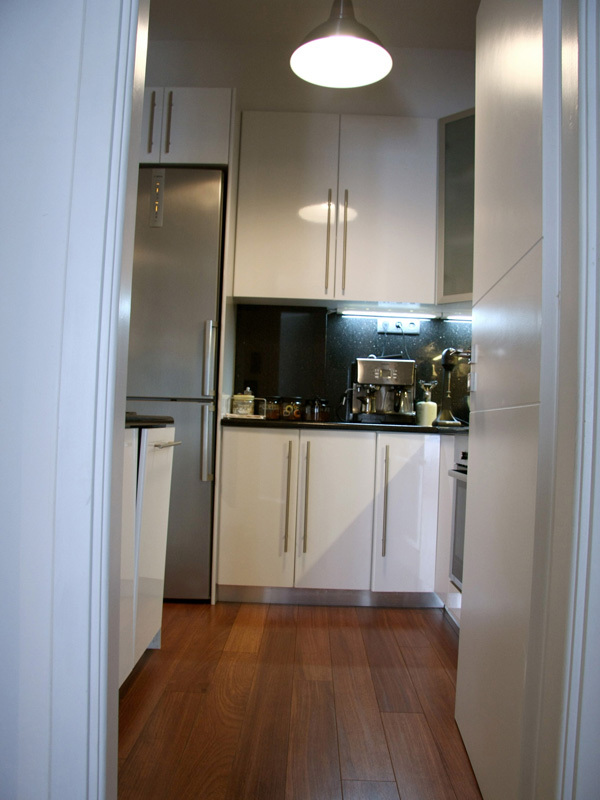 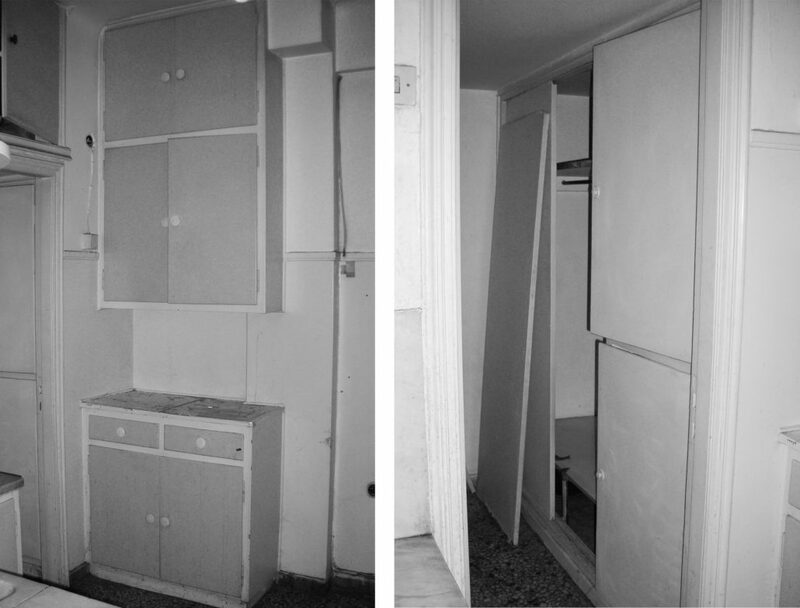 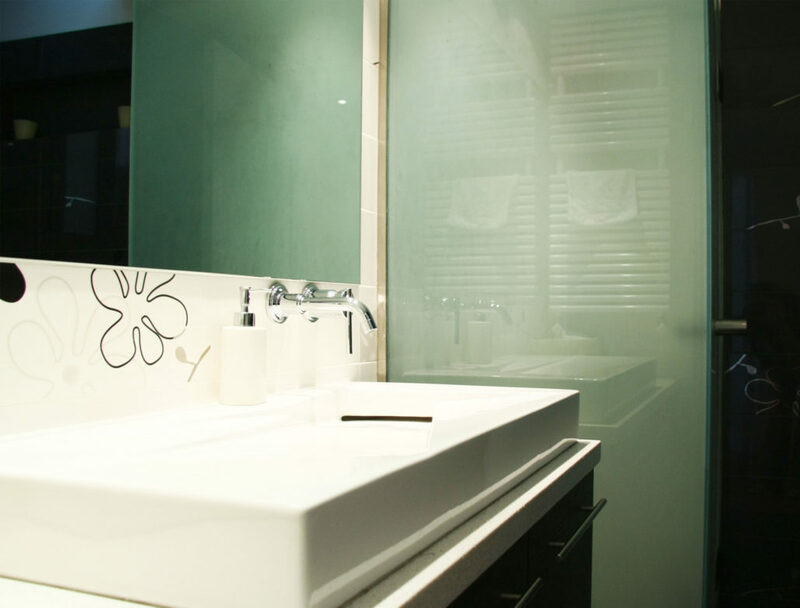 The kitchen and the bathroom were renovated with new materials and custom made furniture.